Orlando, FL – The Florida SBDC at UCF is pleased to announce that Kenn Gluckman has been named 2015 Regional Volunteer of the Year in honor of his committed service to the FSBDC’s award-winning Advisory Board Council (ABC) program. He will be recognized at the FSBDC at UCF’s National Small Business Week celebration which will occur on Tuesday May 19th at the 2015 Small Business Awards Luncheon, an invitation-only event being held at the Citrus Club in downtown Orlando. Eunice Choi, Regional Director at the SBDC at UCF, is hosting the luncheon which will feature remarks by representatives from the Small Business Administration who will present awards to local SBA awards recipients. Gluckman is one of the longest serving volunteer advisors in the ABC. He first applied to become a volunteer at the program’s inception in 2003 and has donated 119 hours of pro-bono consulting services in the 12 years since, which distinguishes him as one of the program’s top volunteer advisors in terms of hours. An accomplished business attorney, Gluckman’s hours of service to the program have a fair market value of $35,700. Gluckman has always been eager to assist and has served on five ABC advisory boards over the years. When asked why he has remained committed to the program over so many years, Gluckman commented, “As I worked with various businesses, I realized that I not only enjoyed helping them, I also learned a great deal. I learned about business in general as well as how business owners think and react. This helped me be a better advisor to my business clients in my own practice. I also continue to feel that it is important to give to the community,” remarked Gluckman. During his involvement with the Advisory Board Council, he has served on the boards of diverse companies including: a restaurant equipment and janitorial supply company; an IT staffing and executive search firm; a civil and environmental engineering firm; a saltwater aquarium and coral reef aquaculture facility; and a business surplus and electronics recycler. Projects he has assisted ABC clients with include: lease negotiations and related office space issues; contracts with vendors and customers; business structure and organization issues, and employment law issues, among many others. 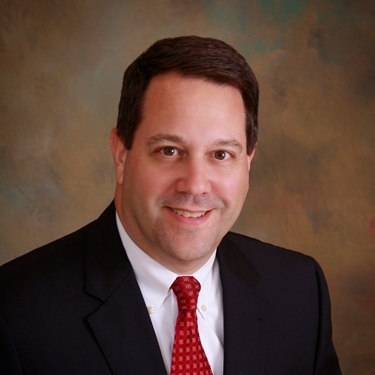 Gluckman began his law practice, General Counsel Advisors, P.A., in 2001. The firm focuses on various facets of business law for companies, including business closings, employment law, corporate formation and governance, private capital raising, mergers and acquisitions, franchise operations, real estate and litigation. Gluckman has been a member of the Florida Bar Association and the Orange County Bar Association since 1995 and is a Supreme Court of Florida Certified Civil Court Mediator. Gluckman is currently a volunteer board member of Orlando, Inc. (chamber of commerce) and Maitland Soccer Club, and has volunteered for the UCF Technology Incubator. He is a former board member of the Orlando Chapter of the global Association for Corporate Growth, and was the founding president of the Chapter, and has also served as Chairman of the 100 Club, a support organization for the National Entrepreneur Center. Gluckman graduated with high honors from the Florida State University (FSU) College of Law in Tallahassee, Florida and also received his bachelor’s degree in Political Science from FSU.